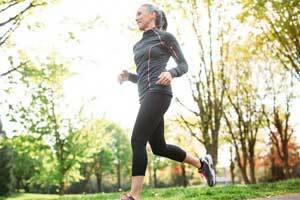 There is no link between the amount of physical activity undertaken by women and risk of early menopause, finds a new study published in the journal Human Reproduction. Elizabeth Bertone-Johnson, Professor of Epidemiology at the University of Massachusetts, U.S., and colleagues conducted the study to investigate whether physical activity associated is with an incident of early menopause. “Early menopause, defined as the cessation of menstruation before age 45, is experienced by approximately 10% of women. Early menopause is associated with an increased risk of premature mortality, cardiovascular disease, and other chronic conditions,” write the authors. Studies in the past have shown conflicting results on the association between exercise and early menopause, with some suggesting that very active women may be at lower risk of menopause before the age of 45, while other research came to the opposite conclusion. For the study, the researchers analyzed data from more than 107,000 U.S. women between the ages of 25 and 42, who were followed for 20 years. Female US registered nurses aged 25-42 were enrolled in the Nurses’ Health Study II in 1989 and they completed questionnaires about lifestyles and medical conditions every two years thereafter. They were asked about the time they spent in recreational physical activities. The researchers also collected information on factors such as race, ethnicity, age, education, height, the age when the women had their first periods, whether or not they had been pregnant and how often, use of oral contraceptives and hormone therapy, whether or not they smoked, weight and body mass index (BMI), diet and use of dietary supplements. In order to assess the frequency, duration, and intensity of the activities, the researchers multiplied the hours per week of each activity by its metabolic equivalent (MET) score to create total MET-hours per week. One MET equals one-kilogram calorie per kilogram per hour (kcal/kg/h), which is the amount of energy expended by sitting quietly for an hour. During the 20 years of follow-up, 2786 women experienced natural menopause before the age of 45. The researchers found no significant difference in the risk of early menopause between, for instance, women reporting less than three MET hours a week of physical activity and women reporting 42 or more hours a week (the equivalent to four or more hours of running or eight or more hours of brisk walking per week). The relation of physical activity and early menopause did not vary across strata of body mass index or smoking status. “Our study provides considerable information in helping us understand the relationship between activity and timing of menopause; this is because of its size, its focus on early menopause specifically, and because of its prospective design, which limited the likelihood of bias and allowed us to look at physical activity at different time periods.,” said Bertone-Johnson. “Our results, in conjunction with other studies, provide substantial evidence that physical activity is not importantly associated with early menopause,” she added. “While our results do not suggest that more physical activity is associated with lower risk of early menopause, we would encourage premenopausal women to be physically active, as exercise is associated with a range of health benefits,” said study first author Mingfei Zhao, a graduate student at the University of Massachusetts. “Our results in no way suggest that premenopausal women should not be physically active,” she said. “Our work has suggested that environmental factors are associated with early menopause. We found higher intake of calcium and vitamin D from dairy foods to be associated with lower risk,” Bertone-Johnson said. “Higher intake of vegetable protein was associated with lower risk as well, though animal protein was not. Cigarette smoking is associated with a higher risk, as is being underweight. We are currently investigating other factors as well,” she added. “Although physical activity has been shown to have wide-ranging positive health effects overall, results of this large, prospective study do not support an important role of physical activity with regard to the risk of early menopause,” concluded the authors.